Not surprisingly, given my high level of low-tech life, many of my personal good news/bad news moments center around my phone. Or my iPad. Or my new computer, about which more at a later date. Just when I thought I knew how to use my phone an unpleasant event crops up to let me know that yes, the phone is still smarter than I am. Take data, for example. Or, in a perfect world, give me some data. Data means an entirely different thing on a phone than it does on a computer. After I got my new phone I asked, oh I don’t know, twenty to thirty people (1) what data is (2) what data does and (3) how much data I need. In return I received twenty to thirty fairly divergent answers. This made me feel much better (“Hey…everyone else is as confused as I am.”). By collating the replies and some fancy consensus-building, this is what was gleaned, respectively: (1) Data is phone stuff that you either need or don’t need to send texts. (2) Data does phone stuff. Except when it doesn’t do phone stuff because you have another method of doing that particular phone stuff. (3) You need all the data ever generated. And then some more. One of the things, I believe they’re called icons, on my phone I did recognize was Google Maps. Google Maps is great. (Are great?) This app can tell you how to get almost anywhere. Unfortunately, the key word in that sentence is “almost.” Embarrassingly enough, one day I got lost while on a long bike ride in Greene county. I just could not find the road I was supposed to turn onto. After riding around in circles for about half an hour I spotted the golden arches. Not only does McDonald’s have wonderful French fries, they have WiFi. While I was trying to join this singular marvel of modern living, some helpful people asked me if I needed assistance. I was a sweaty, helmeted person in a restaurant, madly punching buttons on a phone. You can bet I needed assistance. More good news/bad news: My phone has Bluetooth. This is not, as the uninitiated might think, what happens when you eat a bunch of blueberries. Bluetooth lets you listen to your phone without being attached to your phone. As a concept, this is great especially if you have wire-phobia. For us normal people, it just means we’re not going to accidentally strangle ourselves in pursuit of iTunes. I like to listen to music while I’m walking to take my mind off walking. So I turned Bluetooth on, turned iTunes on, and then walked away from my phone. At which point I lost it. The phone, not my mind although now that I think about it that’s pretty descriptive as well. I couldn’t locate the phone by sounds because the sound was already in my ear through the magic of Bluetooth. Even if I texted or called or messaged myself the alert tone and the phone were not going to be in the same place. My newest gadget is a wireless keyboard for my iPad. The document I produce gets saved in The Cloud. The Cloud is the latest version of the floppy disk. “Save your info here. We promise you can always get it back.” Have your tried using a floppy disk lately? 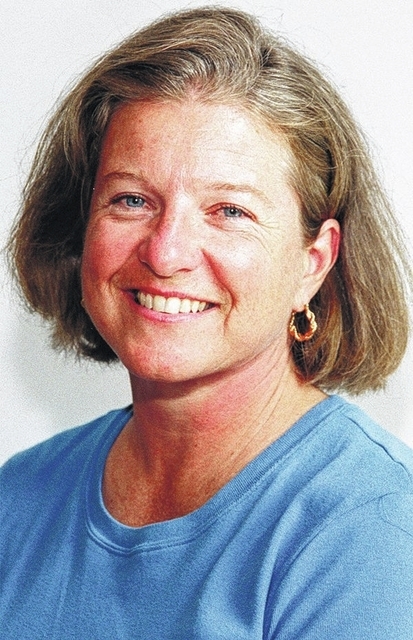 Marla Boone resides in Covington and writes for Miami Valley Today.